Juvie leatherback turtles swim past a Caribbean coral reef with a filefish, cherub fish,gobies and a butterfly fish and a multitude of corals and sponges. 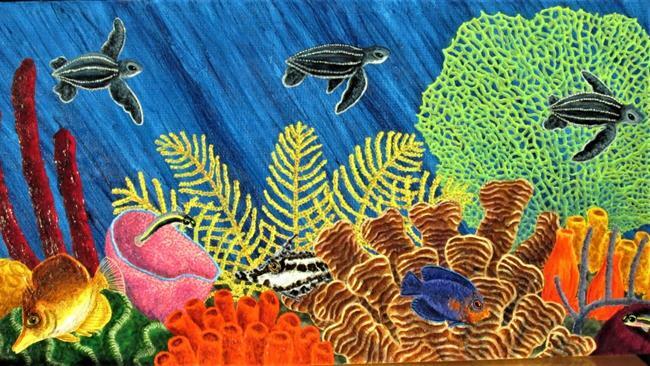 Usually reef paintings go swiftly, but this one took months to get the colors right. It was well worth the effort, as it sold in the first show I put it in.